Explore about Orissa Heritage Sites, Monuments, Travel Attractions, Tourism Destinations and also World Heritage Sites of India. The Konark Sun Temple located in Konark town of Orissa (Odisha) is a popular tourist attraction that is in the list of UNESCO world heritage sites in India. This temple was built by King Narasimhadeva I of Eastern Ganga Dynasty in 1250. Most of the part of the temple is in ruins now. It is called the Sun Temple because it is dedicated to the Sun God Surya. The shape of the temple is of a gigantic chariot which has carved stone wheels, pillars and walls. 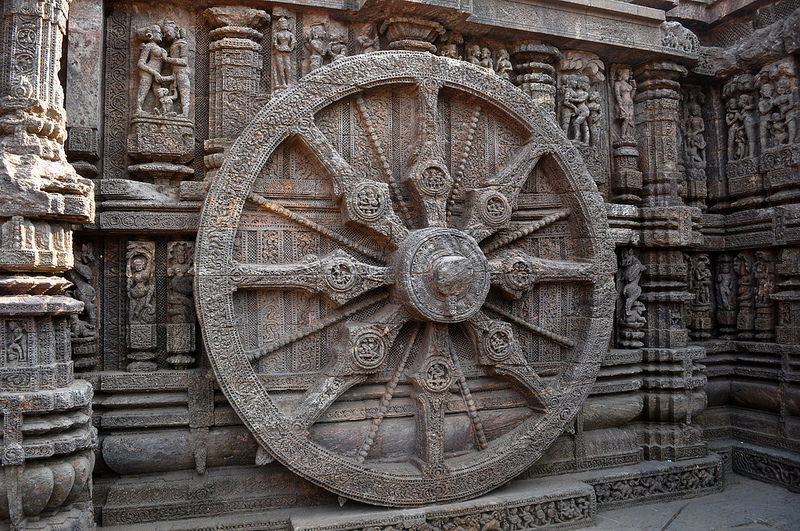 It has twelve pairs of elaborately carved stone wheels and is pulled by seven pairs of horses. It was once mentioned as the Black Pagoda by the European sailors. 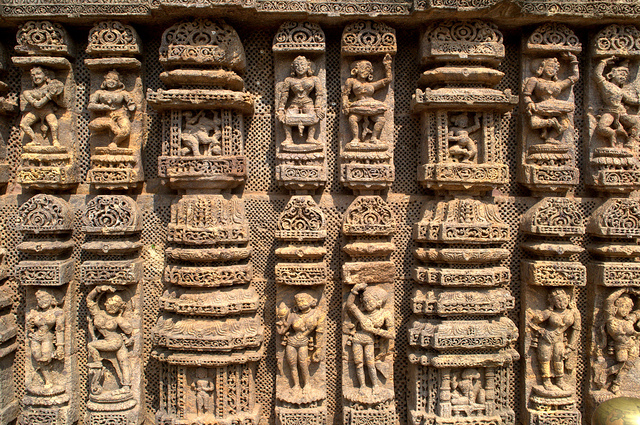 The architecture of the temple depicts the traditional style of Kalinga architecture. The orientation of the temple is towards the east due to which first rays of sunrise strike the main entrance. It has 128 feet tall audience hall that stands even now. Other structures that survive today are the dance hall and dining hall also known as Nata Mandira and Bhoga Mandapa. Two ruined temples have also been discovered some times ago namely Mayadevi Temple and Vaishnava deity. 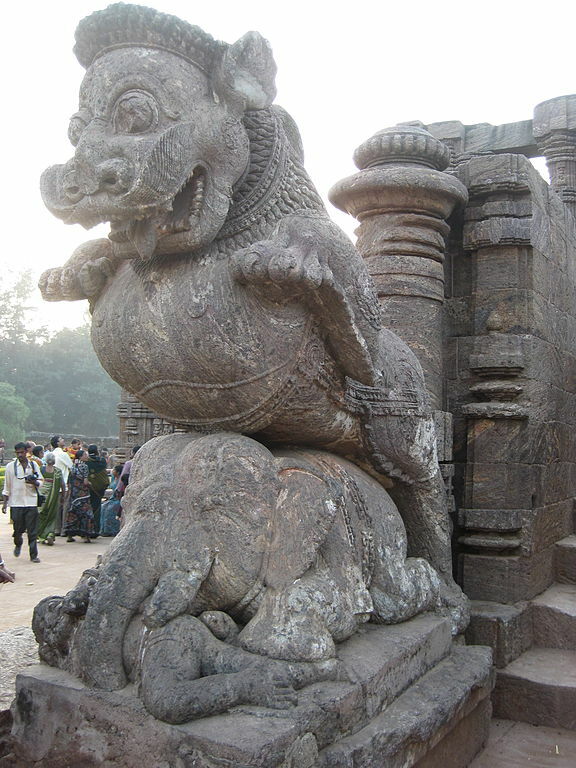 A Konark Archaeological Museum is also located there having a collection of all the fallen structures. 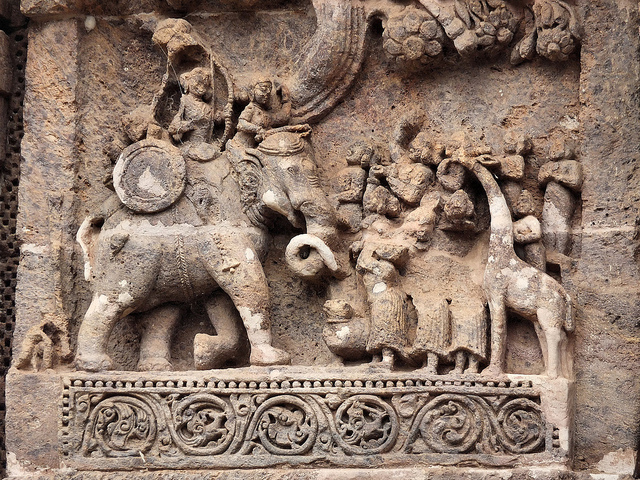 Many kinds of images are sculpted on the walls of the Sun Temple. Some of them are of animals such as snakes, giraffe, elephants, etc. Religious figures are also covering the walls of the temple. Also, one can see the intricately crafted images of God Vishnu, Lord Shiva as well as Goddess Shakti. Women and men are also drawn over the walls of the temple in seductive poses of various kinds. 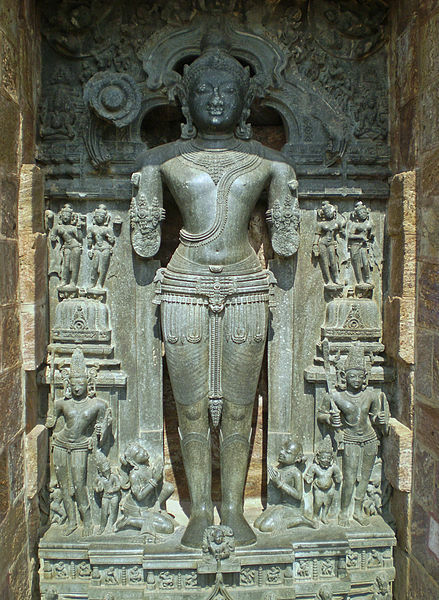 Its fine figures that carved on the walls of the temple made it superior to other temples. So, visiting this temple dwells anyone in its architecture, pictographic sculptures, serene environment, mythological temples, etc. After visiting that, it will remind you in your life as a nice experience. Nearby attraction of this temple is the Jagannath Puri temple. One can also visit this popular temple as it is one of the famous sightseeing in Odisha.